University Life: Why now is the wrong time of the academic year to get anything done…. … and why that’s true for absolutely any value of “now”…..
6 Responses to University Life: Why now is the wrong time of the academic year to get anything done…. 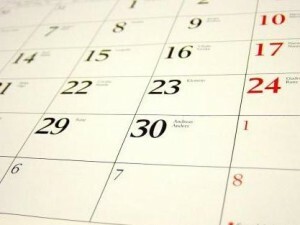 In Oz, the period from late Nov to end of Feb is usually a hopeless zone – Christmas + New Year across the summer holidays! Coincidentally? It’s also the PEAK time for preparing applications for the major Australian Research Council Discovery scheme. Ah, the joys. Didn’t Cornford call this the principle of the Unripe Time? Phil – you’re right about the open days. Though I’ve found the “I don’t come in on Xdays” avoidance strategy to be even more frustrating…. Tseen – I wonder if the combination of summer and Xmas means the problem is less bad in Australasia? I feel your pain about deadlines – the ERSC have moved a bunch to September… after I’d made my holiday plans. Andrew – I haven’t come across Cornford before…. I’ve had a quick glance, and it looks wonderful (controlling for sexist attitudes of the time etc). Thanks for the recommendation. But this is true in many jobs. In business end-of-the month billing days are usually purgatorial, and the end of the financial year month usually hell. Shops have regular seasonal sales during which staff are expected to work longer hours. In academia it’s a bit weird because people kind of expect staff have the summer ‘off’. But I think those days are now long gone. Like everyone else, academics work 48 weeks a year and take their leave when they can fit it in and it suits their employer. I know academics who haven’t taken leave in January (downunder summer) for years, because they’ve been writing grants. But somehow they manage to use up their leave and get their breaks. Yep, I’m sure that’s right. The ‘principle of unripe time’ is surely more widespread than academia, but perhaps there is something specific about the academic cycle – we can’t do it now because we’re too busy, we can’t do it now because we’re not busy enough and no-one’s here. I agree about summer breaks – there is a widespread myth about them still, but no-one could have any legitimate complaint if a lot of leave was taken at that time, as in pretty much every other sector!